Sales are expected to fall 30% to US$62b by 2025 once the new annual price review takes effect. Japan’s medicine market growth trajectory is set to be further impacted by the government’s introduction of an annual medicine price revision by 2021, according to a report by Fitch Solutions. The sector’s sales in Japan is expected to fall 30% to approximately US$62b through 2025 once the annual price review is in place, the report highlighted. “The Japanese government has also indicated that it plans to develop and implement a new health technology assessment (HTA) system in Japan by early 2019,” the report noted. Under the new assessment, a standard processing time for the completion of cost-effectiveness assessments will be implemented which will be used to set chargeable prices for new drugs in the country. Along with this, pharmaceutical companies will need to demonstrated improved outcomes that justify their prices, Fitch Solutions added. The report noted how the Japanese market will continue to pose significant challenges to pharmaceutical companies such as Astellas Pharma. In Q2, Astellas saw its sales slip 3.7% YoY. “Astellas has only reported one quarter of positive sales growth in Japan since Q1 2015,” Fitch Solutions revealed. Meanwhile, the National Health Insurance (NHI) scheme continues to place pressure on revenues, with the April 2018 price revision resulting in a US$39.8m repression of revenues in Q2. Astellas’s sales in Japan are forecasted to continue its downward trend, falling 6.8% in FY18, the report noted. Likewise, pharmaceutical firm Daiichi Sankyo’s revenue in Japan in the first six months of year ending 31 March 2018 decreased 5.1% YoY to US$2.45b on the back of drug price reductions resulting from revisions to the NHI system, Fitch Solutions added. According to Fitch Solutions, whilst Japan will remain a key growth market for a large number of multinational pharmaceutical firms thanks to its rapidly ageing population, opportunities will continue to sprout within the generic medicines subsector. 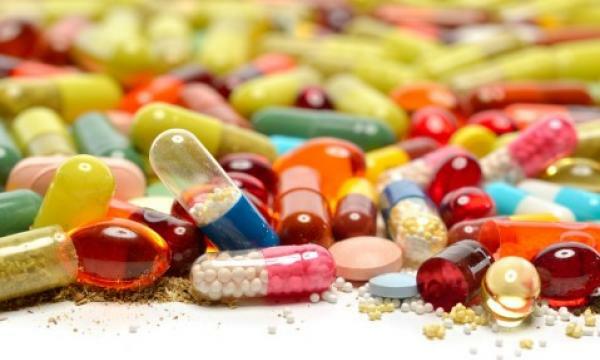 “The health ministry is increasingly encouraging the prescribing and dispensing of generic medicines to enable greater efficiency of pharmaceutical expenditure without deteriorating the quality of care,” Fitch Solutions explained.